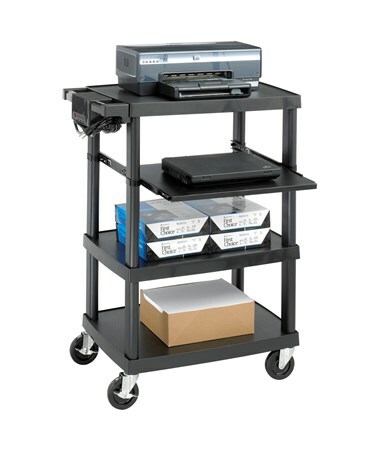 The Safco Multimedia Projector Cart is a tough and multiuse cart with three fixed shelves and a pull-out shelf for maximum storage. The top shelf has a capacity of 50 pounds while the two lower shelves can each hold up to 15 pounds. 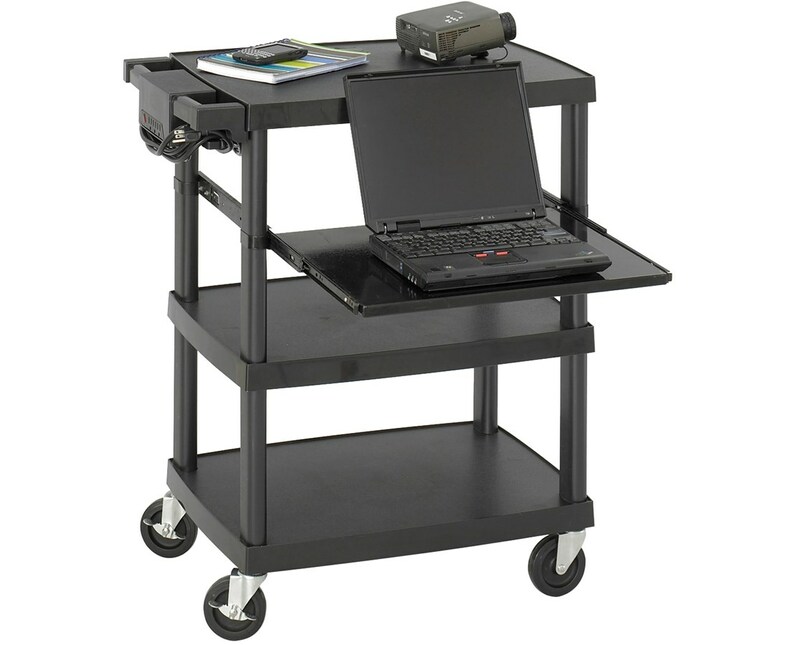 The pull-out shelf has a five pounds capacity, height adjustable, and can be used for laptops and other presentation devices. It also features a UL approved electrical assembly with surge protector. 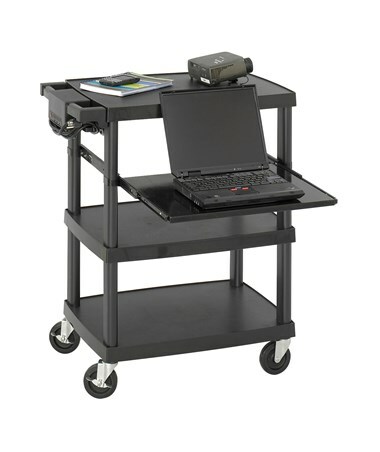 This media cart rolls smoothly on four two-inch polyurethane caster wheels and two of these casters have locking brakes. It is made of plastic and is safe for indoor use as certified by GREENGUARD.